Ohio Cryptid was initially created back in 2009. I had attempted to find a general cryptid group in Ohio, but found mostly Bigfoot only groups or was not welcomed to others for various reasons. Despite operating a paranormal group since 1996, being an avid backpacker, willing to demonstrate my tracking and sign reading abilities, and having a basic background in cryptozoology I was unable to work with a reputable group in Ohio. I did, however, eventually work with a group in British Columbia, Canada, named Sasquatch Research Initiative until it became defunct. During that time I was also able to learn from others here in Ohio and beyond (Joedy Cook and Don Keating in Ohio). I have also been a member of the Pennsylvania Bigfoot Society and am currently a hand-picked member of the Pennsylvania Cryptozoology Society as well as contributer to the North American Dogman Project. 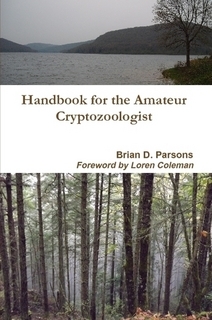 In addition, I am the co-director of Ohio Anomalous Research, the executive director of ParaNexus Anomalous Research Association, and wrote "Handbook for the Amateur Cryptozoologist" (with a foreword by Loren Coleman) in 2014. After attending a few conferences and a library appearance in 2016, speaking on cryptozoology, I realized I had built up a large network of fellow researchers and investigators in Pennsylvania, New York, as well as Ohio and other states, but I had no major way of collecting and investigating my own reports. I had put Ohio Cryptid on the back burner to focus on my ghost group years ago after coming up with the idea. I then went on to write several books with the latest being on cryptozoology. I also helped start an anomalous research group in Ohio that focuses on ghosts, cryptids, and UFO sightings, but I wanted something that I had complete control of and that could supplement this other more generalized group. My goal with this website is mutifaceted. First, I would like to methodically investigate claims of cryptozoological animals using thorough interviewing as well as on site investigation methods allowing the evidence to create a conclusion if possible. Second, I would like to document these sightings to help add to the growing database of such reports by multiple other groups in Ohio and beyond. 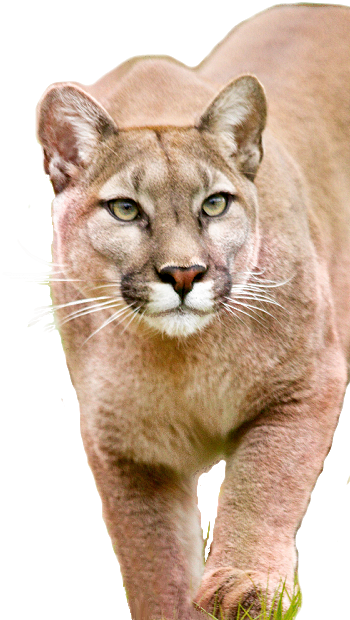 Lastly, I would like to help educate the general public, as well as those interested in this field, to see this field as a potential bridge to animal science instead of a pseudoscience or hobby by mere Bigfooters or those that imitate television shows. What makes this group special? Ohio Cryptid is not a "true believer" group, it is not merely "Bigfoot geared", nor is it a social club or meeting group. Ohio Cryptid is a serious research and investigation organization that focuses on facts and data to build information behind a sighting. We do not jump to conclusions based on a story but instead are reliant upon the information gathered to present the conclusion. We use a cognitive interview method with the initial sit down discussion to allow the client to remember details more thoroughly. A field investigation is done by not only looking for sign (tracks and other physical information) but also by canvassing the area searching for additional witnesses as well as using various search techniques for further data. We work hand in hand with local agencies so that our findings can be confirmed or denied by professionals. Our focus for the client is confidentiality yet coming to the appropriate conclusion as quickly as possible while allowing the information gathered to piece together the mystery instead of relying on feelings, beliefs, opinions, or assumptions.